New Orleans in November was the perfect choice for a unique destination wedding! The weather was gorgeous and the convenience of having all wedding venues in close proximity made it easy for our guests, all of which were from out of town. Everyone we dealt with when trying to plan a wedding from Boston was gracious, accommodating and professional. 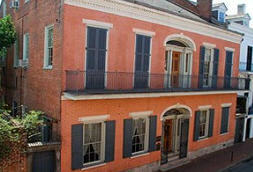 I would recommend a French Quarter wedding to anyone.... truly a wonderful experience for all! accommodated every request and made the night carefree and magical. The food was fabulous also! 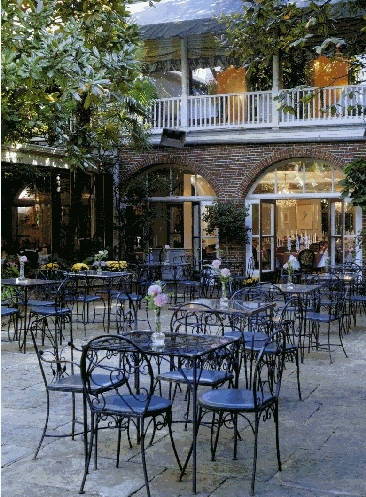 Broussard's is the perfect spot for an enchanting outdoor wedding. Such an intimate, enchanting location for a ceremony. 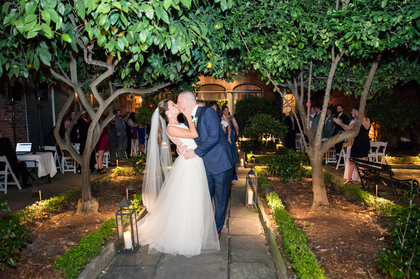 Set in an historic courtyard and lit with lanterns, walking down the tree- lined aisle set the tone for a magical evening! The Hotel Monteleone is the perfect choice for guests attending a destination wedding. 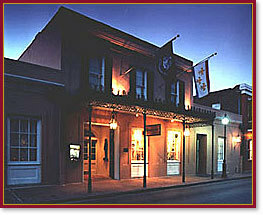 The staff was gracious and accommodating and the location made it easy for everyone to access and enjoy all the French Quarter offers while staying in a luxurious, comfortable hotel. The carousel bar was a perfect meeting place for guests to gather and relax!